Dutch technology specialist Prowise is to launch a new division based at MediaCityUK, its first operation outside the Netherlands. The company, which produces innovative education technology for schools, will occupy a 2,500 sq ft space in The Greenhouse and is aiming to recruit around 20 new employees. 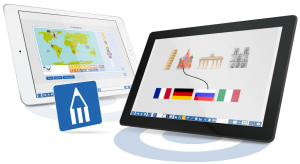 Prowise's product range includes award-winning personal devices and software with over one million ready-made lessons. The Prowise UK team will have nine education experts operating across the regions who will visit schools across the country.